Allows players to change their size (or just their head)! Big Spy? Tiny Terrorist? The choice is yours! See the bottom of this post to find which Source 2009 games are compatible. sm_resize_bounds | Lower (optional) and upper bounds for resizing, separated with a comma. | Default Value: "0.1, 3.0"
sm_resize_headbounds | Lower (optional) and upper bounds for head resizing, separated with a comma. | Default Value: "0.25, 3.0"
sm_resize_handsbounds | Lower (optional) and upper bounds for hands resizing, separated with a comma. | Default Value: "0.25, 3.0"
sm_resize_torsobounds | Lower (optional) and upper bounds for torso resizing, separated with a comma. | Default Value: "0.25, 3.0"
sm_resize_menuitems | Resize menu's items (see Q&A). | Default Value: "0.1, Smallest; 0.25, Smaller; 0.50, Small; 1.00, Normal; 1.25, Large; 1.50, Larger; 2.00, Largest"
sm_resize_headmenuitems | Head resize menu's items (see Q&A). | Default Value: "0.50, Smallest; 0.75, Small; 1.00, Normal; 2.00, Large; 3.00, Largest"
sm_resize_handsmenuitems | Hand resize menu's items (see Q&A). | Default Value: "0.50, Smallest; 0.75, Small; 1.00, Normal; 2.00, Large; 3.00, Largest"
sm_resize_torsomenuitems | Torso resize menu's items (see Q&A). | Default Value: "0.50, Smallest; 0.75, Small; 1.00, Normal; 2.00, Large; 3.00, Largest"
How do I set bounds for my sm_resize(me) and sm_resize(my)head/hands/torso commands? Set bounds with the sm_resize_bounds and sm_resize_headbounds ConVars, separating the minimum and maximum values with a comma. If you don't supply a minimum bound (or it is less than zero) then 0.0 will be used. Example: "0.5, 2.0". How do I enable bounds for some admins but disable them for higher ones? Use override flags sm_resizeboundsoverride and/or sm_resizeheadboundsoverride for the admins you want to be able to bypass restrictions. How do I write my own custom menus? Design your menus using the menu ConVars (see above). Each item in the menu is separated with a semicolon. Example: "0.5; 2.0" Each item can also have an optional label by putting it after the number and separated with a comma. Example: "0.5, Something; 2.0, SomethingElse". How does the TF2 backstab damage work? 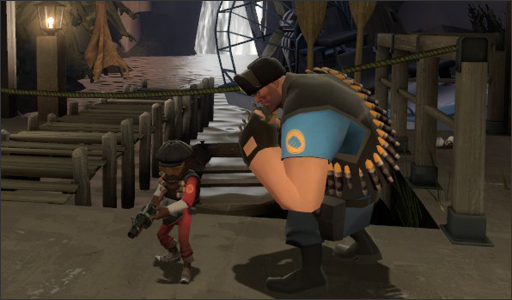 If the sm_resize_backstab ConVar is set to 1 then the spy will deal damage in proportion to his size. If a spy is at 50% size then he will deal 50% of the victim's maximum health (or more if overhealed). If he is at 25% size then he will deal 25% of the victim's maximum health, and so on. Maximum health altering items such as the Dalokohs Bar are taken into account automatically. Place ResizePlayers.smx into your addons/sourcemod/plugins folder. Don't forget to subscribe to this thread for all the latest updates! sm_resizeme, sm_scale and sm_scaleme are added (see Commands). Added ConVar sm_resize_voices which scales voice pitch with size. Added ConVar sm_resize_menu which enables a menu if no parameters are used. Spectators now get resized to normal on plugin unload when rejoining a team. Fixed default resizing for newly joined clients. Fixed hook when changing ConVar sm_resize_defaultresize. Altered step size to reflect model size. More lenient when used via RCON. Removed ConVar sm_resize_mode in favor of overrides. Renamed ConVar sm_resize_defaultstaus to sm_resize_joinstatus. Fixed check for an invalid edict. Altered an array index check for inflictors. Undefined REQUIRE_EXTENSIONS for when SDKHooks isn't installed. Fixed new, normal-sized players inadvertently getting scaled voices/damage. Added more options to sm_resize_damage (see ConVars - requires server restart). Changed default value of sm_resize_voices and sm_resize_damage to 0. Auto-resizing upon joining now checks if the plugin is enabled first. Added the ability to change players' head sizes - similar to existing commands (see Commands). Added ConVar sm_resize_defaultheadresize (see ConVars). Added ConVar sm_resize_notify (see ConVars). Added more options to sm_resize_joinstatus (see ConVars - requires server restart). Added the ability to use timers with commands sm_resize and sm_resizehead (see Commands). Changed default access of sm_resizeme and sm_resizemyhead from public to generic admin. Removed commands for sm_scale and sm_scaleme. No longer changes step size. Changed default value of sm_resize_defaultresize to 0.4. Better handles the absence of SDKHooks during compile-time. Added ConVar sm_resize_bounds which specifies lower (optional) and upper bounds for resizing, separated with a comma (see Q&A). Added ConVar sm_resize_headbounds which specifies lower (optional) and upper bounds for head resizing, separated with a comma (see Q&A). Added ConVar sm_resize_menuitems to design your own custom resize menu (see Q&A). Added ConVar sm_resize_menuheaditems to design your own custom head resize menu (see Q&A). Added ConVar sm_resize_logging to log self and target resizes (see ConVars). Added ConVar sm_resize_unstick which, if enabled, will revert a manual resize (or respawn) if the target would otherwise get stuck. Added ConVar sm_resize_backstab which changes the damage dealt by TF2 spies to be proportional to their size (see Q&A). Added override flags sm_resizejoinoverride and sm_resizeheadjoinoverride used when joining the server (see Overrides). Fixed hitbox issues upon resizing. Added checks for whether commands can be used in your game or not. Removed SDKHooks' optional dependency during compilation. Added checks for SourceTV and Replay bots. Added check for sentry rockets when calculating damage. Removed collision checks on spawn when normal size. Plugin should load in CS:S and other supported games now. Changed ConVar sm_resize_unstick to only revert self-resizes and respawns when stuck (see ConVars). Added override flags sm_resizeboundsoverride and sm_resizeheadboundsoverride to allow certain admins to bypass size restrictions (see Overrides). Fixed a damage issue with players getting hooked twice. Fixed issues with players reverting to normal size on respawn. Added ConVar sm_resize_cooldown to provide command cooldowns (see ConVars). Added override sm_resizecooldownbypass to allow certain admins to bypass any cooldown (see Overrides). Added the ability to change players' hand sizes. Added the ability to change players' torso sizes. Added commands to reset all resizes on targets (see Commands). Added ConVar sm_resize_steps to scale step-size (see ConVars). Added ConVars sm_resize_defaulthandsresize and sm_resize_defaulttorsoresize (see ConVars). Added ConVars sm_resize_handsmenuitems and sm_resize_torsomenuitems (see ConVars). Added ConVars sm_resize_handsbounds and sm_resize_torsobounds (see ConVars). Added new options for ConVar sm_resize_menu (see ConVars). ConVar sm_resize_joinstatus is now deprecated, replaced with sm_resize_onjoin (see ConVars). Removed restriction for root admins to go beyond bounds. Improved resizing after a timer expires. Added overrides sm_resizehandsjoinoverride and [Ism_resizetorsojoinoverride[/I] (see Overrides). Added overrides sm_resizehandsboundsoverride and sm_resizetorsoboundsoverride (see Overrides). Fixed notifications for single targets. SDKHooks (already packed with SM 1.5.0+) is required if you want to scale damage. This should work in other Source 2009 games, but is not completely tested (sm_resize(me) command confirmed working on CS:S, TF2, TF2 Beta and Garry's Mod and sm_resize(my)head/torso/hands is for TF2 only). Many thanks to Sreaper who requested this in the first place! Last edited by 11530; 11-20-2014 at 18:23. Last edited by Sreaper; 08-18-2012 at 02:35. It's a great feeling to know there are selfless programmers on this forum who are willing to take time out of their busy lives just to help out the community! Thanks so much! Uh oh, I can feel a shitstorm a brewin' with that comment. Nice! Are there any limits to the scale? There is no limits to the scale but negative values are blocked due to client crashing, but decimal values such as 0.000000001 are fine. This plugin has amazing functionality, you can rescale your player, and fit through areas normally not possible since the collision boxes get changed. Last edited by Sreaper; 08-17-2012 at 20:11. Can you scale the player up? I've tried 1.5 but it still only makes me small. Do you still have that problem when when using 2 as a value? Last edited by Sreaper; 08-17-2012 at 20:29. Yup, not sure if you have to map change after changing the cvar via sm_cvar. At any rate, can't make anyone bigger than default. Oh well. I guess being small is just as good. Would like to see a video or screenshot of this......also, do the hitboxes stay the same or change with the size? I added a few values in a menu rather than letting players pick any size.